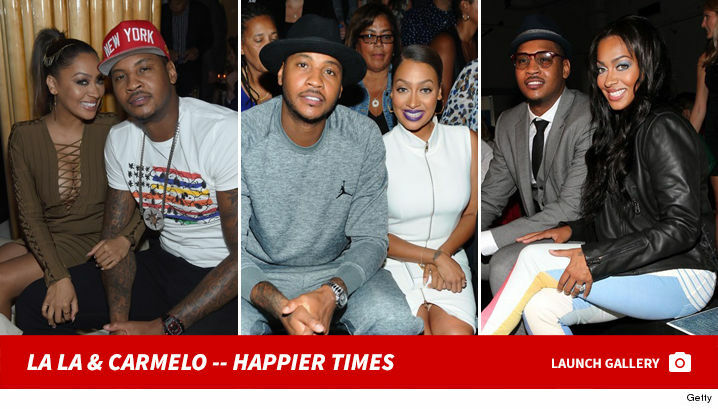 Carmelo and La La Anthony are separated ... TMZ has learned. 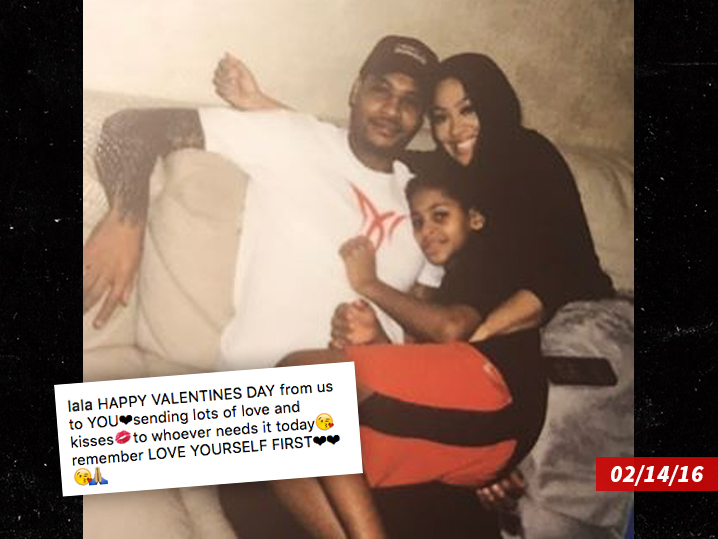 We're told the couple's had ups and downs in the past, but the current NBA season has been extremely stressful on the marriage for several months. 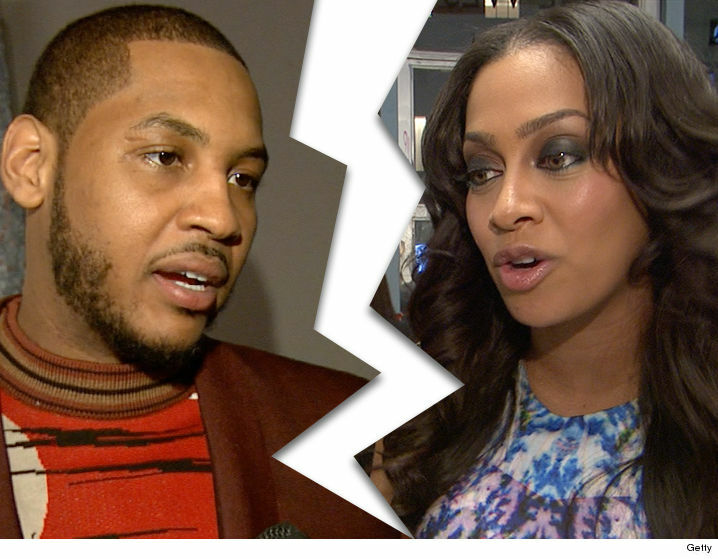 Carmelo's been plagued by trade talks ... with the Knicks looking to move him to another team. Our sources say the split is still amicable. 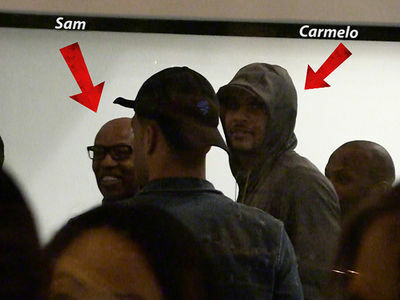 They were together just this past weekend at their 10-year-old son Kiyan's basketball game. 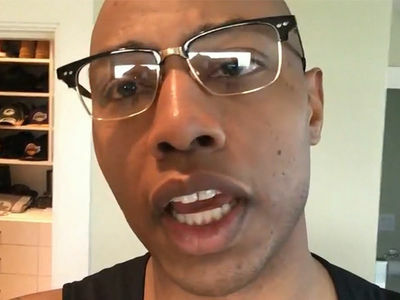 We're told La La and Carmelo have NO plans to uproot Kiyan from his friends and school in NY. Problem is ... it seems likely Carmelo will have to leave town, because just last week Knicks President Phil Jackson said it was time for him to go. Neither is talking divorce yet, just separation. The couple got married in 2010.